Two years ago, we wrote that the Gertrudes' 2011 album Till the Morning Shows Her Face to Me was "beautifully representative of all of contemporary folk's finest features." Now, those diverse elements have come to light once again, as the Kingston, ON-based outfit are ready to drop Neighbourhood on September 17 through Apple Crisp Records, with distribution handled by Zunior/Outside. Before then, it's available to stream in full on Exclaim.ca. 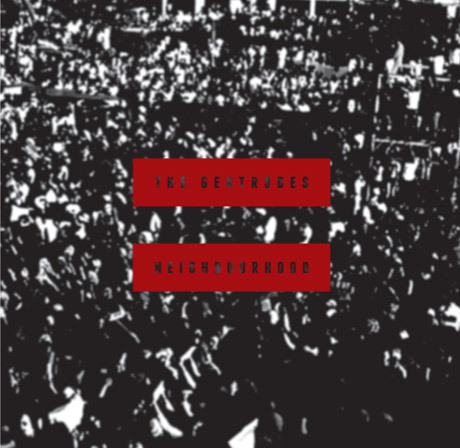 According to a press release, "Neighbourhood collects the band's thoughts on the effect of chaotic global politics on the individual." It's dedicated to the folks who live in their neighbourhood, in addition to community-builders everywhere. While the Gertrudes have roughly been described as folk, there's plenty of stylistic range and experimentation on these 10 tracks. "All Give Thanks to the Banks of America" delves into psychedelic quirkiness, while "Rhubarb Pie" is filled with rich and earthy harmonies, the reflective "Water on Your Body" builds up from quiet ambience, and "Walking Down the Street with Lola" has echoes of melody from the Clash's "The Card Cheat." The band will play at the Wolfe Island Grill near Kingston on September 21. For now, listen to all of Neighbourhood below.